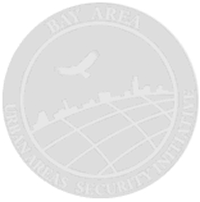 Analyn Tam is a grants acocuntant at the Bay Area UASI. Her responsibilities include ensuring all accounting operational needs and adherance to compliance requirements of our grant programs are fully met. Additionally, she coordinates audit and site review with our subrecipients. Analyn comes from the SF Public Utilities Commission with a wealth of knowledge in the area of accounting reconciliation and reporting. Analyn holds a degree in Business Management and Economics from the University of California Santa Cruz.